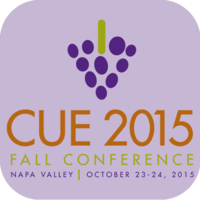 Tell us why you chose to attend the 2015 CUE Fall Conference and your hopes and expectations. If you are request a badge during or post-conference, tell us about any memorable learning outcomes! Needed a refresh of my tech skills. I've been booged down with the integration of digital curriculum tools in my district. I want to get back to the work of encouraging innovation in the classroom. Never miss a chance to attend Fall CUE. Amazing learning and connecting with others. I presented two sessions. Yay CUE! This is the second year that I attended #fallcue. I presented one session last year and presented two sessions this year. I'm so excited to be here to learn from a talented group of educators. I'm so excited to be here to learn from a talented group of educators. Hoping to grow my PLN to keep the learning going all year! I am so excited to be here with educators that want to know more. 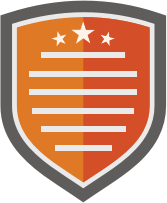 I'm really interested in badging and how it applies to professional development. I really enjoyed the "Can You Hear Me Now?" session on podcasting. Looking forward to starting that. At the Stinking Badges session now! I'm here to share, learn, connect, and grow. I love all the great ideas I'm getting and the chance to meet up with my PLN! Hoping 2 improve my presentation skills & pickup new tips 4 my teachers & their classrooms. <3 the learning happening amid the grape vines. To become connected with fellow connected educators and to learn new practices to bring back to my class.